We are a Yiddish singing trio looking to bring our music to you! REYNA SCHAECHTER, as one of Di Shekhter-tekhter, has appeared around the world in the musical revue, Our Zeydas and Bubbas As Children. A documentary film / concert video was made about this, When Our Bubbas and Zeydas Were Young: The Schaechter Sisters on Stage, which was an official selection at the Montreal International Yiddish Theatre Festival (2011), Miami Jewish Film Festival (2012), and Toronto’s Ashkenaz Festival (2012). Recently Di Shekhter-tekhter have toured with their new musical revue, Something Old, Something New, Something Yiddish, Something Blue. In other film work, Reyna was featured as Juliet’s younger sister in the film, Romeo And Juliet In Yiddish (2011), and she co-starred in the documentary film / concert video Pripetshik Sings Yiddish! (2005). www.jewishvideo.com She also provided voiceovers for the films ”Sholem Aleichem: Laughing in the Darkness (2011), No Place On Earth (2012), and for permanent exhibits, such as Philadelphia’s National Museum of American Jewish History. In 2005, Reyna performed with Broadway star Mike Burstyn in the off-Broadway hit On Second Avenue. That same year, she sang “Take Me Out to the Ballgame” in Yiddish in front of 50,000 fans at Shea Stadium on Jewish Heritage Day as a member of the all-Yiddish Pripetshik Singers. Her solo work has been praised by Betty Comden, Sandy Duncan and Kitty Carlisle Hart. Reyna has performed in Carnegie Hall, Alice Tully Hall and Damrosch Park in Lincoln Center, and most recently as a guest soloist with the Jewish People’s Philharmonic Chorus at Symphony Space (NYC) on June 1, 2014. Reyna was selected and participated for two years in Young Playwrights, Inc., a writing workshop developed by Stephen Sondheim. 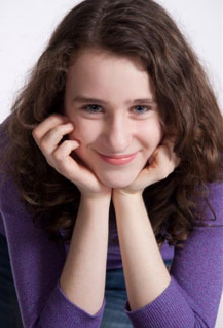 In 2013, while a senior at the prestigious Hunter College High School, Reyna was identified by The Jewish Week as a young Jewish visionary for their feature “36 under 36.” Now attending Yale University, she has been selected to perform in Yale’s oldest co-ed a cappella vocal group, Redhot & Blue, which tours internationally. Reyna is fluent in Yiddish and Spanish. TEMMA SCHAECHTER, the younger half of Di Shekhter-tekhter, has performed since she was 3, appearing on four continents. She has travelled around the world co-starring in the musical revue Our Zeydas and Bubbas As Children, with her sister, Reyna, and father, Binyumen Schaechter (conceiver/musical director/pianist). 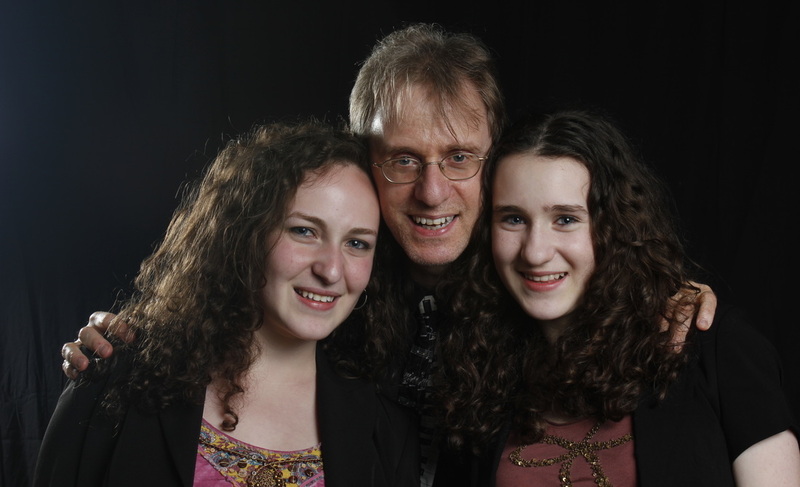 A documentary film/concert video, When Our Bubbas and Zeydas Were Young: The Schaechter Sisters on Stage, was made of their performance, which was subsequently presented at the Montreal International Yiddish Theatre Festival (2011), Miami Jewish Film Festival (2012), and Toronto’s Ashkenaz Festival (2012). www.ergomedia.com More recently, Temma has been touring with their new show, Something Old, Something New, Something Yiddish, Something Blue. Temma performed her first solo show to standing ovations, From ‘Humen’ to Binyumen, in Every Song a ‘Numen’ [Name], in which she portrayed a variety of characters from the Yiddish song book. Her inimitable rendition of “Old MacDonald” in Yiddish has received high praise in the New York Daily News and the Jewish Forward. In 2005, as one of the Pripetshik Singers, she sang “Take Me Out to the Ballgame” in Yiddish in front of 50,000 Mets fans at Shea Stadium. She has also performed as a standout soloist in several sold-out concerts by the Jewish People’s Philharmonic Chorus (JPPC) in New York City’s Symphony Space, most recently in the concert Amerike di prekhtike (America the Beautiful) on Sunday, June 1, 2014: www.symphonyspace.org/event/8294/Music/amerike-di-prekhtike-america-the-beautiful In concert, she has also performed to great acclaim from her English repertoire, including “Corner of the Sky” (Pippin), “Don’t Rain on My Parade” (Funny Girl), “Honey Bun” (South Pacific) and “Our Time” (Merrily We Roll Along). Temma has done voice-overs for permanent exhibitions in a number of museums around the US, including Philadelphia’s National Museum of American Jewish History. Her voiceovers in film include her first, ‘Der Kish’, recorded when she was but 3 years old. She has done a workshop reading of Joe DiPietro and Eva Dolan’s new play ‘Gutmusik’. She attends NYC’s LaGuardia High School of Music & Art and Performing Arts (also known as the Fame School, after the movie chronicling the school). She has participated in the prestigious Advanced Playwriting Workshop of Young Playwright’s Inc., founded by Stephen Sondheim. BINYUMEN SCHAECHTER, a.k.a. 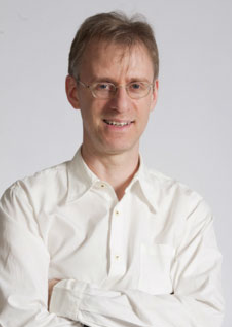 Ben Schaechter, is an award-winning composer of musicals, revue songs and cabaret songs, who has been represented off-Broadway by his musical Double Identity, and four revues: Naked Boys Singing, the 4th longest-running show in off-Broadway history and performed throughout five continents; Pets! (Dramatic Publishing); That's Life! (Outer Critics Circle nomination); and Too Jewish? (with Avi Hoffman), seen also on PBS TV, for which Ben was Musical Director/on-stage pianist/back-up singer (nominated, Drama Desk, Outer Critics Circle Awards). In its review, The New York Times wrote, “Among the show’s [Double Identity’s] assets... is the ear-catching score by Ben Schaechter, whose wide-ranging gifts have buoyed recent hit revues like That’s Life! and Too Jewish?” Other musicals: The Wild Swans (ASCAP's Bernice Cohen Award for Outstanding Achievement in Musical Theatre; Eugene O'Neill National Music Theatre Conference), Dinner At Eight (2001 BMI Foundation's Jerry Bock Award for Outstanding Achievement in Musical Theatre). Ben's music has been sung by many singers, including Tovah Feldshuh and Andrea Marcovicci; featured on PBS, ABC and NBC TV; and recorded on quite a few CDs, including five original cast albums and It Helps To Sing About It, all songs with his music. www.amazon.com and www.music.barnesandnoble.com He is an alumnus of the BMI Lehman-Engel Musical Theater Workshop, and a member of ASCAP. Ben is the Conceiver/Musical Director and Arranger/Performer/Translator of a half-dozen Yiddish musical theatre works, including Our Zeydas and Bubbas as Children; Something Old, Something New, Something Yiddish, Something Blue; ‘Di Shekhter-Tekhter’ Sing Schaechter; From ‘Humen’ to Binyumen, in Every Song a ‘Numen’; From Kinahora to Coney Island; The Shtetl Comes to Life; and Yiddish Top ‘Khay’. As an actor, Ben has been featured with Anna Deveare Smith in her (except for him) one-person show in Carnegie Hall, and he has done voice-overs for permanent exhibitions in a number of museums around the US, including Philadelphia’s National Museum of Jewish History. Binyumen translated into Yiddish the first-ever DVD with Yiddish subtitles, The Life and Times of Hank Greenberg. Binyumen’s parents spoke only Yiddish with him and his 3 sisters, and the 4 siblings speak only Yiddish with their children, giving his parents 16 fluent Yiddish-speaking grandchildren. He can be reached at info@YiddishSisters.com and (212) 989-0212. Click on the icon in the upper-left corner of the video to see the full playlist. ‘Di Shekhter-tekhter’ and Musical Director/Pianist Binyumen Schaechter have toured across the USA as well as in Australia, Canada, France and Israel. Their show OUR ZEYDAS AND BUBBAS AS CHILDREN was recently made into a film, now available on DVD. (Details under the "film" tab above.) All of the following ‘Shekhter-tekhter’ shows (in Yiddish and English, listed below) are available for performance in Festivals, Synagogues, JCCs, Jewish Day Schools, Hebrew Schools, etc. Contact Binyumen Schaechter info@yiddishsisters.com, 212-989-0212. Yiddish songs old and new, all performed in a contemporary style, interspersed with English verses and interwoven with English translations. Also some English songs that have been translated into Yiddish. Songs include: "Dona, dona", "Di Goldene Pave", "I Could Have Danced All Night" in Yiddish and "Over the Rainbow" in Yiddish. The experiences of our grandparents’ generation during their youth in Eastern Europe, as well as upon arrival in America. Songs include "Kh’vil nisht geyn in kheyder", "Afn veg shteyt a boym", and a Holocaust montage. English and Yiddish songs written by the extended Schaechter family, which boasts no less than four composers, poets and songwriters, including National Heritage Fellowship winner Beyle Schaechter-Gottesman and Off-Broadway hit composer Ben Schaechter. Including “Rozhinkes mit mandlen”, “Yidl mitn fidl” and “Alter Danld” (Old MacDonald in Yiddish). The Old World clashes with the New through the immigrant experience in America. Songs and sketches, from Yiddish vaudeville and Catskill comedians, include “The Scotchman from Orchard Street”, “The Yiddisher Chinaman”, and “Hopalong Knish”. Songs and autobiographical monologues take us through the life cycle, from childhood to young lovers to parents to the elderly. Songs include “Bay mir bistu sheyn”, “Mayn yingele”, and a show-stopping improvisation. 18 of the most popular Yiddish songs, with audience sing-along. Di Shekhter-tekhter featured as soloists in concert by the Jewish People’s Philharmonic Chorus / JPPC, at Symphony Space, New York City. Temma featured as soloist in an encore concert of From Paris to Peretz, with the JPPC, at Merkin Concert Hall, New York City. Di Shekhter-tekhter give a concert at the Yidish-vokh, near Baltimore, MD. Temma and Binyumen give a concert, Ídiche in Concert, at the Clube Israelita Brasileiro in the Copacabana section of Rio de Janeiro, Brazil. It is the South American debut for them both. 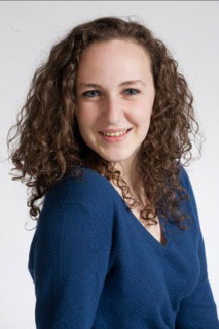 Temma featured as soloist in "Rumania, Rumania" in From Paris to Peretz, a performance by the JPPC that opened the North American Jewish Choral Festival at the Hudson Valley Resort and Spa in Kerhonkson, New York. Binyumen gives a solo performance, Funny Yiddish Songs, in Jerusalem, Israel. Feature article about the JPPC and Binyumen, including Reyna and Temma, in the Jewish Week: "Hitting the Yiddish High Notes"
Di Shekhter-tekhter featured as soloists in From Paris to Peretz, a sold-out concert by the JPPC, at Symphony Space, New York City. Reyna tours Japan with Redhot & Blue, Yale University’s co-ed a cappella jazz vocal group. Di Shekhter-tekhter featured performers at the celebration Yugntruf Celebrates 50 at the YIVO Institute, Center for Jewish History, New York City. Di Shekhter-tekhter featured as soloists in Amerike di prekhtike, a sold-out concert by the JPPC, at Symphony Space, New York City. Feature article about Reyna and Temma in the Jewish Week: "Family Ties - to the Mamaloshen"
Reyna tours Europe with Redhot & Blue, Yale University’s co-ed a cappella jazz vocal group. Binyumen conducts the JPPC in an a cappella performance of Amerike di prekhtike (see June 1, above), as part of Shabbat Across America, Congregation Habonim, New York City. Charlotte Schaechter, the matriarch of di mishpokhe Shekhter, the Schaechter family, passes away at 86. She was the bobe of Reyna and Temma, and the mame of Binyumen – and one of his major musical influences. Beyle Schaechter-Gottesman, renowned Yiddish folksinger, poet and songwriter, aunt to Binyumen and great-aunt to Reyna and Temma, passes away at 93. Temma and Binyumen perform at Sholem Aleichem Cultural Center, Bronx, NY. Reyna debuts with Redhot & Blue, Yale University, New Haven, CT.
Temma selected to perform at her school graduation, at Cooper Union. She performs Sondheim’s “Our Time”, to a standing ovation. Temma and Binyumen perform at Center for Jewish History, New York City. Di Shekhter-tekhter featured as soloists in sold-out concert by the JPPC at Symphony Space, New York City. Reyna selected by the Jewish Week as a young Jewish visionary for their feature "36 under 36." Di Shekhter-tekhter perform Something Old, Something New, Something Yiddish, Something Blue at the Sholem Aleichem Cultural Center, Bronx, NY. Di Shekhter-tekhter perform Something Old… in Pittsburgh at the 15th annual IAYC Conference. Binyumen conducts the JPPC in a performance commemorating 70 years since the Warsaw Ghetto Uprising, at Cathedral of St. John the Divine, New York City. Reyna gives solo performance in Haifa, Israel. Premiere of Di Shekhter-tekhter’s newest show, Something Old, Something New, Something Yiddish, Something Blue, at Monmouth University, West Long Branch, New Jersey. Temma plays Motl, the lead role in the operetta, Sholem Aleichem dir, Amerike!, in sold-out concert by the JPPC at Symphony Space, New York City. Official release on DVD of the film featuring Di Shekhter-tekhter in When Our Bubbas and Zeydas Were Young: The Schaechter Sisters on Stage. Premiere of the film When Our Bubbas and Zeydas Were Young: The Schaechter Sisters on Stage, as part of the Miami Jewish Film Festival. Official World Premiere in New York City of the new film, When Our Bubbas and Zeydas Were Young: The Schaechter Sisters on Stage, followed by Q&A with the Director and Performers, and a DVD signing. Avant premiere of the film When Our Bubbas and Zeydas Were Young: The Schaechter Sisters on Stage at the Montreal International Yiddish Theatre Festival. Temma featured as soloist in sold-out concert by the JPPC at Symphony Space, New York City. Feature article about Di Shekhter-tekhter published in New York Daily News. Di Shekhter-tekhter perform at 95th birthday celebration of Yiddish theatre and film great Shifra Lerer. Di Shekhter-tekhter perform at Third Annual All-Star New York Yiddish Sing-along, at Congregation Rodoph Sholom, New York City. Three events at internationally-renowned Ashkenaz Festival in Toronto, Canada: Di Shekhter-tekhter perform Our Zeydas and Bubbas as Children; Binyumen and Di Shekhter-tekhter present Yiddish Humor in Song with audience participation; Binyumen presents The House on Bainbridge Avenue, reminiscences of his unique all-Yiddish family history growing up in the Bronx, New York. Performances of Our Zeydas and Bubbas as Children at Hebrew Union College, New York City, filmed for the documentary, When Our Bubbas and Zeydas Were Young: The Schaechter Sisters on Stage. Temma premieres her first solo show, From ‘Humen’ to Binyumen, in Every Song a ‘Numen’ (Name) at Circle Lodge, in upstate New York, to a standing ovation. Feature article, Jewish Week, Reyna selected for "36 Under 36" award. "A charming trip down Yiddish Memory Lane with the delightful ‘Shekhter-tekhter’. An Ergo Media release, the film, directed by Academy Award-nominated documentary filmmaker Josh Waletzky, is now available on DVD from http://ergomedia.com/ or by writing info@jewishvideo.com or calling 201-692-0404 (USA). Follow ‘Di Shekhter-tekhter,’ Reyna and Temma Schaechter, accompanied by their Musical Director and father, Binyumen Schaechter, in this film of their one-of-a-kind musical revue, which has enthralled audiences around the world. Attracting a new generation to Yiddish song, the dynamic duo brings to life the youth of our grandparents in Eastern Europe, as well as upon arrival in America. Through a potpourri of characters from the Yiddish songbook, featuring great Yiddish composers and writers, such as Sholem Aleichem, Itsik Manger and Mordecai Gebirtig, they inspire us with themes that are universal and contemporary, such as young love, family relationships and class struggle. Academy Award®-nominated director Josh Waletzky, best known for “Partisans of Vilna” and “Image Before My Eyes”, incorporates interviews that provide an insight into this family and their unique mission to share Yiddish with the world. The film, 58 minutes in length, is almost entirely in Yiddish, with English subtitles. The DVD, released early in 2012, also has an option of Yiddish on-screen lyrics. Please use this information to get in touch with Binyumen Schaechter, Musical Director.